I’ve got strange habits to fall asleep at night. I personally like to have a movie or tv show I’m really familiar with running to fall asleep to. In college I had a VHS tape(!) of Blade Runner that I would play every, single, night, to fall asleep to. If I assume I made it about halfway through before I fell asleep on average (sometimes I started it at a random point in the middle), that means I have seen Bladerunner about 700 times (give or take about 50) so far! 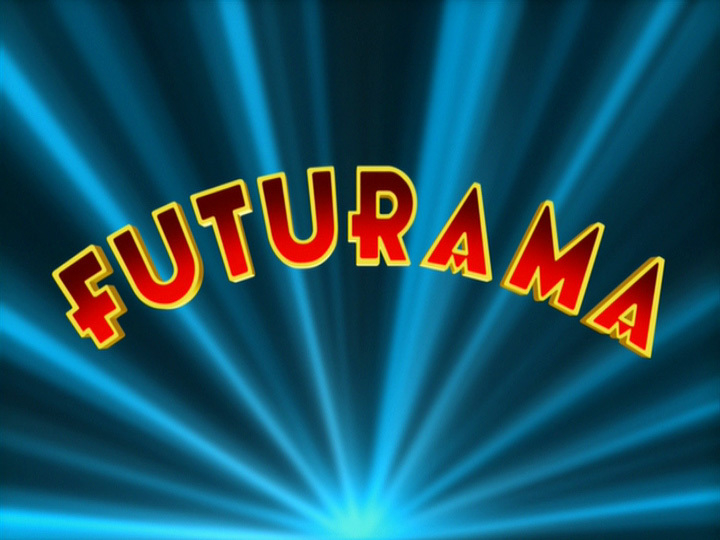 Lately it’s been Futurama for me. So, in honor of my 5th (!!!) 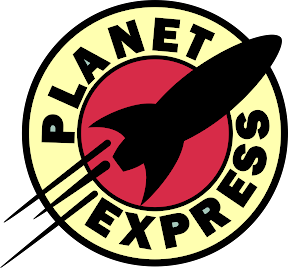 time watching the entire series all the way through, I decided to whip up a Planet Express logo based on the one shown in Season 1 Episode 2 “The Series Has Landed”. Planet Express: Our crew is replaceable. Your package isn’t. The original logo as shown in the show was not perfectly round, so I assumed that was the intent. I also had to fudge a bit in finding a font to match (searching online didn’t turn up any ideas on what it might be closest to). I went with “Franklin Gothic Heavy” as the closest match, then tweaked locations to get it to fit as well as possible.